We're fast approaching September when the kids are going back to school, and more often than not, September is when kids decide to start playing the piano among other musical instruments. Picture the scene - your son or daughter comes in from school at the end of their first week and expresses a strong interest in learning the piano - do not despair - your life savings are not at risk! Firstly, it's important to know that the piano is one of the best instruments for a child to learn as it supports their mental development. It teaches coordination, muscle memory, stimulates the brain, encourages discipline and more importantly is great fun to play! Also, if you play the piano then it makes learning a new instrument in the future a much easier task. If you are learning anything new you will always need a good teacher. It's all well and good using books and videos to help you learn but nothing will replace the knowledge and guidance of an experienced instructor. They will stop your son or daughter from picking up bad habits, they will encourage them, they will praise their good work on a personal level which makes learning the piano far more enjoyable than any YouTube video blindly praising them before they've even started playing! Most schools offer lessons during the school day, either teachers employed by the school or peripatetic teachers that just work in the school - it's always worth checking there first. If you are unable to find an instructor within your child's school we offer a large list of local piano teachers in the Berkshire and Surrey area who we strongly recommend. It's very important to find the right teacher for your son or daughter. Don't just go with the first choice because they are readily available. This can be the first stumbling block when it comes to learning something new. If the personalities don't work together then your child's progression will be stunted. It is a very common and at times an unavoidable aspect of learning and it's such a shame to witness a lack of connection between the child and the teacher on a personal level - nothing to do with their ability or progress, just a clash of personalities. So it's important to meet the teacher, have a quick chat and ask for an introductory lesson. If you feel your son or daughter's progression is affected by their relationship with the instructor don't hesitate to acknowledge the issue and search for a more suitable teacher. If you notice that your son or daughter stops practising or starts refusing to go to lessons your initial thought should be to question this as the source of the problem. Once you've picked the right teacher it is now vital that you find an ideal instrument for your child to practice on. This is a fundamental step in providing your child with the starting point they deserve. It is staggeringly easy to make an uneducated assumption regarding what's enough for your child. You would be amazed at some of the things we hear: "it's ok we've got one of those printouts of a piano" or "well they play on a piano in their lesson so that's all they need." What chances are you really going to give your son or daughter with the restriction of inability to express their creativity through their own instrument? Why waste your money on lessons at all if they can't practice what they have learnt in their own time? One of the biggest mistakes a lot of families make is purchasing a "keyboard" as they are falsely categorised as the only available option to a new player. Do not mix the word 'keyboard' with 'digital piano' - these are 2 completely different instruments. Pianos are stringed instruments where pressing a key triggers a hammer to strike a string. A piano has 88 notes, all of which are weighted differently from the bass end to the treble. It is these weighted keys that are extremely important when first starting out as they will drastically enhance the level of your childs progression regarding both strength and technique. The weight of the keys helps build strength in your fingers and aids what is called "dynamic control", which is the ability to play loud and softly with great precision. Digital pianos are different to keyboards. They are designed to be alternatives to real pianos. All digital pianos have 88 notes (like a real piano) and weighted keys. This means that the keys have little weights on, which helps build the strength in your fingers. Some of the better digital pianos are graded, meaning different weights are used in the bass end to the treble, much like a real piano. They also have wooden keys like a piano and synthetic ivory keytops to make them feel even more realistic. Keyboards are instruments that are usually shorter than pianos (they have less keys) and have 'sprung keys' - this is a thin plastic key that when pressed 'springs' back - there is no weight to the key which doesn't allow your child to attain any technique characteristic crucial to their development as an aspiring pianist. Most keyboards are 'touch sensitive' - this means if you press the key harder then a louder sound is played back than when you press softly. Some keyboards have a 'boxed key' but aren't weighted and this is important to look out for and avoid. Some keyboards have what looks like a real piano key but in fact it is just a sprung key that has been boxed in. It is important that you do not get diverted by this visual façade placed by the manufacturer, which is situated in order to present a false piano experience. Buying a keyboard for a beginner is a false economy as the learning curve of their technique will require an almost instant upgrade, which causes the initial keyboard to become a wasted investment. You are far more beneficial to opt for either a digital piano or of course a real piano. A teacher will tell you that you can't beat the real thing and it's true. There's something very pure about a real piano and it's true that you will progress much faster on a real piano rather than a digital. Myth 1: Real pianos are so much bigger than digital pianos - False. In fact, the footprint of some acoustic pianos is actually smaller than certain digital pianos but the fact is the footprint is about the same. Of course there are some exceptions but as a rule they have to be about the same size as they all have the same number of notes! Myth 2: Real pianos are much more expensive than digital pianos - False. We sell second hand acoustic pianos from around £500 upwards - you can spread the cost of this interest free over 9 months or even rent a piano. Pianos are a lot more affordable than people realise. Myth 3: There's all sorts of after costs with real pianos - The only other cost associated with a real piano is tuning. Tuning costs £69 if tuned every 12 months. That's not a huge price to pay for having the real thing over a digital piano. Myth 4: We can just start with a cheap digital and upgrade later - Of course you can, no problem. But why not start where you mean to finish? You don't have to worry about not taking to it, we will buy the piano back at a later stage or you could rent for 6 months. Your son or daughter will benefit far more from 6 months of practice on a real instrument than a digital piano. There is an exhausting number of details you must acknowledge when picking the right instrument for your child. This is why it is important to take the advice from the instructor and visit a piano dealer who can show you the differences between the technical aspects of the different of pianos, digitals and keyboards to help you make an informed decision about the appropriate instrument. Visit our showrooms in Cobham and Maidenhead or call us on 01628 771400 for more information. If your piano has been affected by the recent flooding then we offer a wide range of solutions to try and help. We know how terrible it can be for any possessions to get damaged in any way. The recent flooding in the UK has caused tremendous damage and upset to many families. Pianos are large items of furniture and can be extremely valuable in both cost and sentiment. Here at Sheargolds, we have decades of experience with regards to damage to pianos and can help in many ways. Piano storage - if you are worried that your house may become flooded we offer piano storage and can look after your piano until you are happy the dangers have subsided. We can undertake all of these services in many areas. If there is damp in your house it can affect your piano. If you are worried about the implications of the recent flooding, damp and water problems then give us a call on 01932 866577 to discuss how we can help you further. Our reputation in piano repairs, restoration, piano removals and insurance claims is renowned throughout the piano industry. Please get in touch for any more information. Kawai have today launched the brand new Kawai KDP90 digital piano. The KDP90 replaces the popular KDP80 model. With the same fantastic price of £799, the Kawai KDP90 features a new piano sample and much improved piano action over the KDP80 model. We have already had many enquiries for the Kawai KDP90 and taken forward orders for this great new model digital piano. 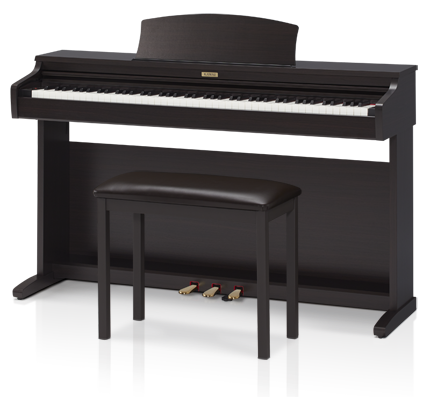 We offer Free Delivery on the Kawai KDP90 digital piano and our fantastic bundle deal still applies meaning that for £799 not only do you get the new and improved Kawai KDP90 digital piano but you also get a matching quality Kawai bench with storage, a set of quality headphones and an extended 5 year warranty! For more information on the Kawai KDP90 digital piano click here or call us on 01628 771400. What to look for when buying a used piano? We see a lot of second hand pianos on a weekly basis as we often part exchange customer's pianos when they purchase a new one, move old pianos from one house to another or take them away when they are beyond repair. We have recently taken away an old piano for a customer who purchased a new upright piano and have some good examples of typical problems or pitfalls to look out for when considering buying a second hand piano. 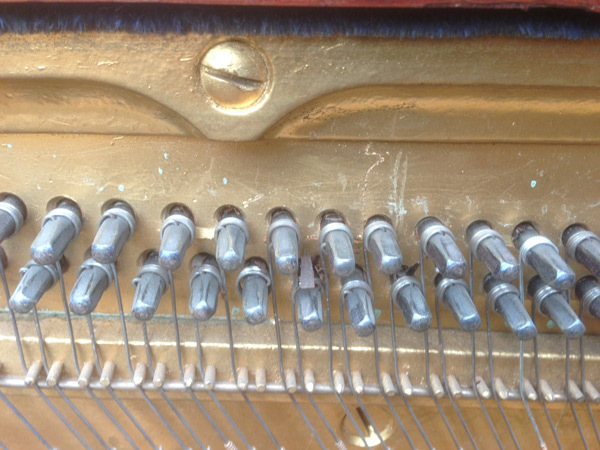 If you look at the picture to the left you can see dotted chalk marks above the tuning pins. 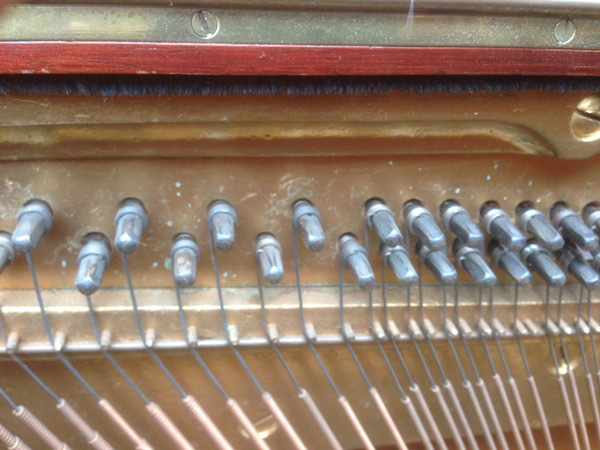 These are common indications that the piano has loose pins. Tuners often leave these marks for future tunings and other tuners to warn them about the pins being loose. This is definitely something to avoid if you are considering buying the piano as it will cause you nothing but problems in the future. There are methods to try and fix or tame these problems but there is never a complete solution. Sometimes you can knock the pins back in place to try and create more friction. Other methods include using a product called 'Pin Tight' which effectively locks the pins into place, or using a larger tuning pin to fill up the now larger hole. Another method sometimes used is wedging veneer into the hole to try and make the gap smaller and try and make the pin 'bite' against the veneer and stay in place (see image below - middle pins have veneer wedged in). 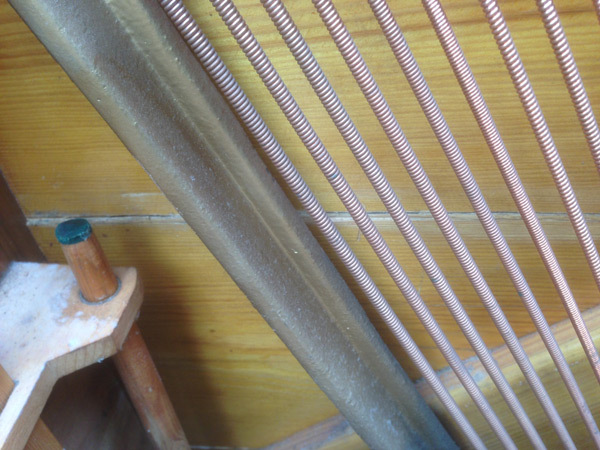 All these methods are temporary (bodge) solutions which at best will extend the life of the piano by a few months. Another common problem with particularly older pianos are cracks or splits in the soundboard as show in the image below. Splits can cause many problems. They can cause the piano to vibrate and ake 'buzzing' noises when playing and they also deteriorate the quality of sound as what was originally one piece of wood resonating now has a split or crack in it! Although cracks and splits can sometimes cause no problems at all it is alway wise to steer away from pianos with these problems when looking at buying a used piano. Of course none of our second hand pianos have these problems. We only source the best quality second hand pianos, and every used piano we sell has been through our workshop and always comes with a guarantee. We don't want to have to come round your house to fix a problem (of course we will if we need to!) so only sell the best quality to ensure you will not run into these problems! 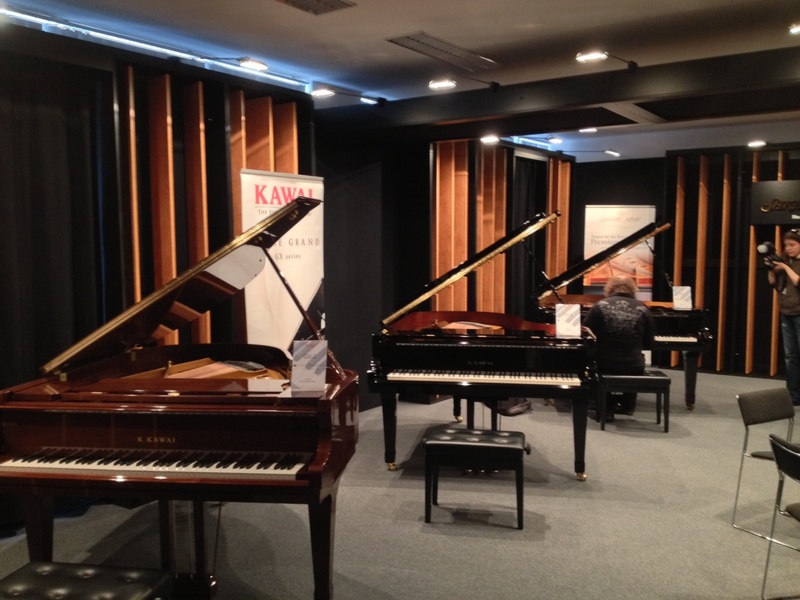 I am writing from a hotel room in Frankfurt, Germany to fill you in on the new range of grand pianos launched by Kawai pianos this week at the Music Messe show in Frankfurt. We mentioned the Kawai GX grand pianos back in January following thr NAMM show in California but could not confirm any details... Well after a lovely evening of food, drink and of course entertainment we can now confirm more details on the fantastic new GX range of grand pianos. The GX range will replace the already ready fantastic Kawai RX range of grand pianos and models will be replaced subsequently, the RX1 will become GX1, the RX2 will become GX2, RX3 will be GX3 and so on. Thicker rim - the GX range of Kawai grand pianos features a much thicker rim than its predecessor meaning the piano has a fuller and more brilliant tone. Most importantly is the touch - the GX grand pianos are the only pianos to have a key length similar to a concert grand... They have extended the length of the key overall, which means the pivot point of the key is further back allowing for much more dynamic control. After hearing the range of Kawai GX grand pianos both at the show and at the Kawai event we are very excited to present them to you. We will see the GX models in the shop over e course of the next few weeks and months and encourage you to pop into the showroom to see, hear and feel these fantastic grand pianos for yourself. For more information on the Kawai GX grand piano please call us on 01932 866577. You've heard of a left handed drum kit and a left handed guitar? Well now there's a left handed piano. Kawai pianos, the specialist piano manufacturer renowned for its innovation and creative thinking have announced the launch of a brand new concept - the left-handed piano. It's true that left handed people are generally stronger with their left hand than their right so it is more difficult when learning the piano when the majority of melodies and rhythms are played using the right hand. After an extensive study and hours of research Kawai have found a solution to this problem. They created a number of prototypes and invited left handed pianists to test the concept with a surprising amount of approval for the idea. Many left handed pianists found that by effectively swapping the keyboard round so the bass notes run from right to left instead of left to right. Bottom A is now at the far right of the keyboard with high C obviously being at the far left. They have also reversed the pedals so the sustain pedal is on the left and soft pedal on the right - again because left handed people are also generally stronger in their left leg. 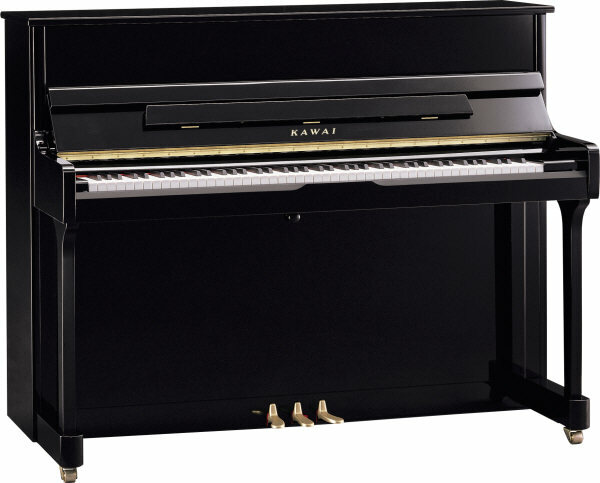 Due for release at the Frankfurt music show in 2 weeks time, Kawai have announced the new left handed piano will only intially be available as a K2 upright alternative in black polyester. They hope to increase the range by the end of the year to the other upright models and there are even talks about developing the concept into their new range of GX grand pianos. They will also release other cabinet finishes but initially it will just be black polish. We have had lots of enquiries over the last few weeks from schools, colleges and other educational institutions with regards to buying a new piano, replacing their existing pianos or swapping their very tired digital pianos. Pianos are fundamental in any classroom or music department whether it's for teaching theory, group singing or even piano lessons and recitals. Many of the schools we supply also have grand pianos in their main hall or music department and the schools use the pianos during drama performances, concerts and recitals. We all know that school budgets are limited and sometimes it can seem almost impossible to think that you could replace your broken, tired old piano with a sparkly new one where all the notes work! Well we have some great ideas to help raise the finances to get you there. This scheme has been rather successful for many of the schools that we work with. It is a very simple but effective scheme that breaks the cost of your new piano in bitesize chunks... Once you have decided on the piano(s) you would like to go for we take the cost of the piano and divide it into 88 (the number of notes on a piano). 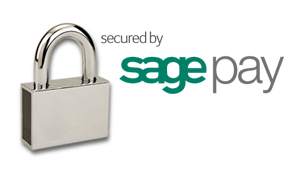 The school then ask parents, teachers, local businesses and sponsors to donate and 'sponsor a key'. For example: You decide to buy a piano that costs £4,400. £4,400 divided by 88 is £50. You would then ask for sponsors of £50. There are many ways to promote this scheme. The school can add the idea to the newsletter that is sent to parents asking them to help sponsor the piano and enhance their children's musical learning, you can approach local businesses that you may have worked with before in return for a mention or advert in your next concert. We can also create you a donation page on our website where people can visit to track the progress of the scheme and even sponsor a key online. Once you have raised the balance we can arrange delivery and quite often it is great to hold a 'key signing ceremony' where you invite children, parents, teachers and sponsors to come and physically sign the key they have sponsored. It is a great event that could finish with a performance on your new piano and is great at building community spirit. Some of the schools we have supplied pianos to have sought the finance to purchase the piano with the agreement that they will raise the money afterwards. For example the bursar will agree to lend you the money for the piano if you have created a 'business plan' where you can raise money through concerts and use the ticket money to pay back the 'loan'. Many of the schools rent out their facilities outside of term time to amateur dramatics groups and local piano teachers looking to hold piano pupil concerts etc. This is a good way of raising finances to fund the cost of the piano. We are very fortunate as one of the UK's largest piano dealers to be able to offer payment plans to help ease the financial burden of buying a new piano for educational purposes. Depending on the piano and situation, here at Sheargolds we can sometimes offer the option of spreading the cost of your new piano over 12 months and sometimes more. This makes it much easier to get the piano into your facility in the shortest timeframe so you can replace your 'broken' piano and carry on with your day to day tasks without the worry of whether the hammers will hold out on your old piano! If you are looking at purchasing a new piano, replacing your existing pianos or digital pianos or for more information on any of these schemes please call Steven Palmer on 01932 866577. The Death Of Music in Schools? I am writing in response to an article posted on MI-Pro, a trade website, about music in schools dying and how it has changed. It talks about how music in schools can be rather boring and how it needs to be more motivating and would like to invite parents, pupils and teachers to add your comments and feelings about this issue. The full article is posted here. Tim Slater mentions his days of school music lessons being quite boring learning about Beethoven and Benjamin Britten until one day his music teacher brought in his electric guitar and taught them about the different parts of the guitar whilst plugging it in and giving a rendition of David Bowie's Rebel Rebel. That is his most memorable part of music lessons during school. It's true that music in a lot of schools can be very tedious and it's understandable that the Government were talking of taking music off the syllabus as a compulsory subject but what do you expect when you are learning about classical composers, clapping rhythms to a pre-recorded educational lesson tape and singing random songs that you've never heard of! I was very luck when it came to music lessons as my school has always been known for its music department, and particularly the music teacher. The school was always known for the music department and its various bands, whether it be the concert band or jazz orchestra and played many concerts and events during my time there from Henley Regatta and Local Radio Events to Christmas Concerts in the local church and playing for the local charity fund raisers. The other thing that proved the success of the department was the size of the bands themselves that were some 40+ strong members from Year 7 through to Year 12 and 13 sixth formers. Where else in a school environment would you find such a mix of age groups and children of different backgrounds? I think music is extremely important for developing social skills as well as personal skills. Talking from experience, I was an extremely timid 12 year old Year 7 who was scared of just about anyone I didn't know! I remember going to my first Junior Band Practice, clarinet in hand at lunchtime and eating my lunch whilst 2 Year 9 girls were happily chatting and giggling on the other side of the room. Being the scared fool I was, I thought they were laughing about me so decided to skip Junior band practice! Anyway, a long story short after finally plucking the courage to go back to band practice, years later I ended up being the speaker of the entire group when the Concert Band & Jazz Orchestra visited Goslar in Germany. I had to stand in front of all my band friends as well as our German audiences and introduce the band, in German! Who would've thought that could have happened.... so social development is a big part in music lessons at school. I still regularly speak with my school music teacher, and in fact play in a 60's cover band with him, so whatever he did must have worked! He is always keen to tell me of the new ways he develops his lesson plans where now he will split a class into smaller groups of 4 or 5 and they decide between them on a pop song to learn. That group then spend the term working through the different parts of the song together and finally perform in front of the class at the end of term. It's a great scheme and has proven very successful both in the encouragement of music in them and also developing their social skills as they don't pick their own group and are almost 'forced' to work together with other class members they may have not chosen themselves. All in all I believe music is fundamental in the development of people in school. It helps encourage interaction between different ages, nationalities and backgrounds - we just need more school music teachers to change from the traditional (and somewhat boring) methods introducing some modern twists that will help engage more pupils and hopefully help them enjoy music. Harrods has always been a prestigious department store known for many things throughout the World for its luxurious items and prestigious branding. Another very important part of the business had always been its music department, which had been part of the Harrods DNA since the beginning. So it is on a very sad day that they announced the closure of this department, apparently due to a downturn in piano sales and the fact that unfortunately "pianos do not sell as well as handbags" according to a member of Harrods' staff. It is a shame that the UK's most iconic department store has chosen to shut down its music department but we disagree with the fact that piano sales have plummeted so significantly. Pianos are very specialist instruments and to sell these instruments the company selling them needs to have extremely knowledgable staff who not only sell the pianos but can offer the complete back up service after the main sale. Harrods piano department did not do this. They did not offer their own piano delivery service, they did not organise their own tunings and didn't even deal with part exchanges or second hand pianos. It is very difficult to run a successful piano department without all of these aftersales services. Here at Sheargolds we DO offer part exchange, we DO sell second hand pianos and offer a complete package of aftersales service. We can organise piano tunings, repairs and regulation. If you move house we can organise the safe transportation of your piano and if you are having work done in your house we can organise piano storage to ensure your piano is protected during any building work. So for a complete one-stop shop for pianos and piano services experience the difference of Sheargolds. Call our Surrey showroom on 01932 866577. Sheargolds is based in Cobham, Surrey, just a short drive down the A3. We supply many customers in and around the Knightsbridge and London area and many families visit our showroom and make a day of their trip. Cobham is a very picturesque village with many local restaurants, boutiques and cafes. 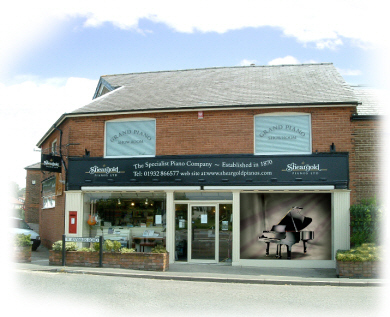 Our customers visit the showroom to select a new piano, often pop into town for a spot of lunch and then go for a walk in Painshill Park or one of the many walks in the local area. Last weekend was the annual Sheargold Christmas Concert and it was a fantastic event. Well done to all the performers and our group effort of Jingle Bells went down rather well! We'd like to wish everyone a Merry Christmas and a Happy and Musical New Year!